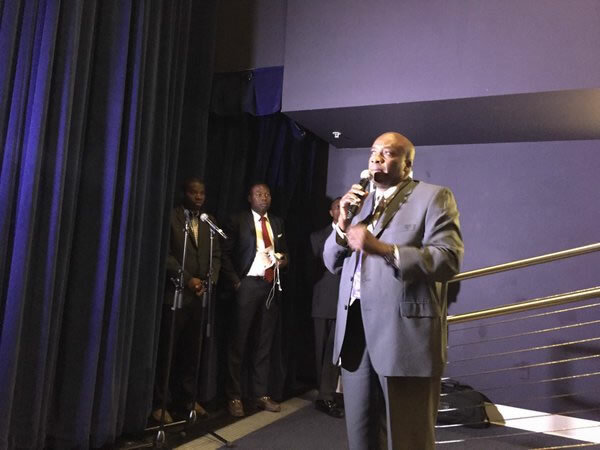 Here is a picture of Moloskot in Miami at Little Haiti Cultural Center in March 2016 during a presentation of Presidential candidate Jovenel Moise. The radio host Laventure Ernest Edouard is better known by the name Moloskot. In May 2013, this acolyte of former Haitian President Martelly was accused by the director of the General Administration of Customs (GAC), Fresnel Jean-Baptiste, in theft charges of securities and criminal conspiracy. As per Radio Kiskeya sources, he distributed fake official badges as well as arms to a group of custom employees. However, in an interview on the radio Scoop FM, Moloskot said he was betrayed. Because, he was employed by the President to do a specific job, but does not understand how everything went wrong. Recently, in March 2016, at Little Haiti Cultural Center in Miami, he was present during a presentation of Martelly's of Presidential candidate Jovenel Moise.